Jason Vaughn: Warranty Auditor, Dealer Claims Adjuster and District Parts & Service Manager for Kia Motors of America. I wish to relay what I believe could be very important information, affecting the lives and safety of thousands of people. In my tenure with the Kia Motors, as an Auditor, I discovered a deficiency covering a range of vehicles that overlays a greater engine problem related to the SC147 recall, as well as non-SC147 engine replacements going back to the summer of 2017. Around August, or September of 2017 I discovered in the course of performing a dealer audit that High Pressure Fuel (GDI) system components were not being replaced as required in accordance with published document ENG084. In summary of what is outlined in ENG084: Vehicles that are equipped with GDI = Gasoline Direct Injection, have certain parts that are one time use, and must be replaced if the system is disassembled e.g. injector seals, washers, torque to yield bolts and high pressure tube. To the non-technical reader: GDI (Gas Direct Injection) is a fuel delivery system, that in addition to the normal fuel supply pump, mounted in the fuel tank – utilizes a high pressure pump mounted on the valve cover of the engine. This high pressure pump operates mechanically via a lobe on the camshaft to supply high pressure fuel directly into the combustion chamber. In doing so, greater performance and fuel efficiencies can be achieved. If I recall correctly, Kia GDI systems run approximately 750psi at the pump. Upon discovery, of what in my estimation at the time could be a serious safety issue – I reported this to the then, Warranty Assurance Manager (Audit Manager) to assist with decision making in claims adjudication. It was agreed, at that time that the deficiency was egregious, and that action should be taken. I charged back every warranty claim (GDI equipped) engine replacement that was missing Parts Distribution, and Claim Notes on the Repair- Order to document that the necessary (one time use) parts were replaced in accordance with published document ENG084. To my knowledge at that time, the referenced Audit above was an isolated event, and I did not have a greater scope for how this might aggregate over time on a national scale. October of 2017 I was transferred from Auditor, to Dealer Claims Adjuster. During this transition I was transferred from the Assurance side of the Warranty Department, to the Operations side of the Warranty Department. (In short: Assurance is where KMA charges warranty claims back from dealers & Operations, is where “high risk” claims are systematically routed to Claim Adjusters for manual review prior to Claim Payment. During my time as a Dealer Claims Adjuster, from October of 2017, until October 31 of 2018, I had an opportunity to see the actual problem at Meta-Level. At conservative estimation, over 70% of all of the engine replacements performed, and equipped with Gasoline Direct Injection did not have the (one time use) GDI components replaced as outlined in document ENG084. Early on, this was very concerning to me as a safety factor and as a company liability issue. As a Dealer Claims Adjuster, I was required to push a button, called “Approve Claim” that in turn would initiate Claim Payment to the dealership. I brought this issue up as a discussion point in a KMA Warranty Operations team meeting and the Warranty Operations Manager refused to entertain this as an area of discussion. · More than 350 consumer complaints were reported to the U.S. National Highway Traffic Safety Administration over non-collision fires in Hyundai and Kia Vehicles as result of auto makers “concealment of defect” according to class action lawsuit filed on 12/14 in the US District Court for the central district of California by law firm Hagens Berman. 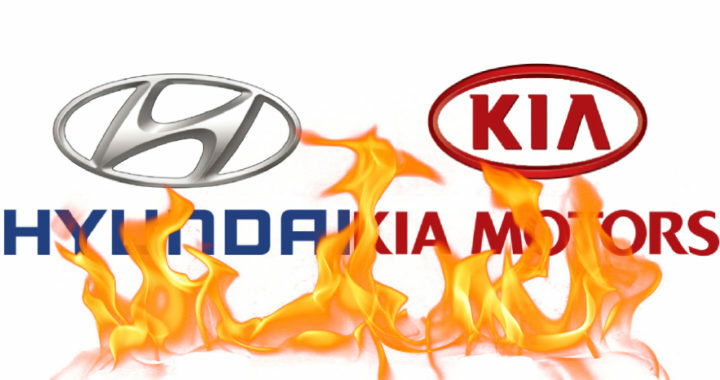 · The CEOs for Kia and Hyundai have refused to attend a congressional hearing to explain why hundreds of their vehicles have spontaneously burst into flames. This refusal is confirmed by the Senate Committee on Commerce, Science and Transportation. These hearings have currently been postponed. · The inception year of the problem is 2011 which corresponds with the year that Kia introduced GDI fuel systems to their vehicles. · Many of the fires have reportedly started in the rear engine area which is also the location of the High Pressure Pump & Fuel Tube. 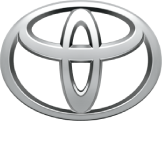 · Thousands of cars have had engine replacements, and they have been released to customers within these same chassis/engine/years of production for both Kia and Hyundai. (for Kia I estimate that over 10,000 vehicles have been knowingly released to the customer without having the required High Pressure Fuel System parts replaced in accordance with published documents ENG084 & PS539. · Major gaps are present in the internal communication channels between KMA, and their dealer partners concerning replacement of “one time use” GDI Parts if the system has been compromised. Process protocols are also missing on the retail side to address this correctly. · The writer of this communication has outlined this issue multiple times over the last year, and up different management silos within Kia Motors America and still no action has been taken. · PS539 is a published document; subject “Component Reuse Guidelines” that was requested at the behest of the KMA Warranty Department. The purpose of this document is dealer edification/expense control, specifically targeted to “over-repair”(PARTS) for “Short Blocks” due to major back order of engine “Long Blocks”. PS539, and its subsections, related to high pressure fuel system part replacement guidelines, was edited by myself with adoption recommendations currently published, however the internal approval process protocols were never amended. “Kia shares the goals of both the Center for Auto Safety and NHTSA to assure the safety of the vehicles we sell to our customers and put on American roads. Kia is encouraging completion of recall SC147 (engine recall) as a remedy to the fire hazard. The true pathology of the hazard looks like this: 1) Engine is replaced under SC147 recall (also non-SC147 engine replacements). 2) Upon reassembly technicians are not replacing the High Pressure Fuel components (one time use parts) as outlined in ENG084 and PS539. 3) The vehicle is then released to the customer at high risk of developing, a high pressure fuel leak. 4) High pressure fuel at the joint of High Pressure Tube to High Pressure Pump leaks/sprays gas on the ignition coils and exhaust manifold i.e. flamethrower, hence the reason that vehicles have been reported completely engulfed in flames within 10-15 seconds. · Kia has known about the deficiency of High Pressure Fuel System, one time use parts not being replaced in accordance with ENG084 since Auditor, Jason Vaughn adjudicated warranty claims for this specific reason August or September of 2017, and still the warranty approval process protocols were not amended. 1) To gain KMA approval to replace an engine the technician would sign a document stating that they understand the high pressure fuel system components must be replaced as outlined in ENG084 & PS539 to be saved in KMA archives. 2) KMA would ship a Service Kit with every corresponding engine to the dealer along with a copy of the technical bulletin outlining the requirement to replace the one time use high pressure fuel system components. 3) The dealer would be required to return the old high pressure fuel system parts to KMA to be saved as documentation that the parts were replaced as required. 5) Every warranty claim that requires disassembly of high pressure fuel system components would be manually reviewed by a KMA Claims Adjuster to verify parts distribution, parts return and proper technician claim notes on the repair order, prior to paying the claim. Almost none of these processes were in place as of two weeks ago when the writer of this communication resigned from KMA. · The estimated 10,000-11,000 Kia vehicles (and the number is growing) that are on the road now, and have not been repaired properly are at high risk for erupting into flames. The risk factor for these vehicles catching on fire grows exponentially over time due to stresses of normal operation/vibration and improper part disposition. · If you the customer is driving on the highway with a child strapped in a child seat; 10-15 seconds is not enough time to pull over safely and remove the child from the car. · It is very concerning that the Center for Auto Safety has not been able to identify the problem, when the problem is painfully obvious. · It is very concerning to me that I have been emailing Steve Berman of Hagens Berman Law, the attorney that is heading the class action lawsuit against Kia Motors America with updates on this issue since 12/18/18 and he seems to be disinterested, even though I am very likely the best possible witness to testify as to the root cause of the problem and the deficiencies within the internal controls at KMA. · I am in contact with the Associated Press (15 people with the AP have currently read my article) and ABC Action News, Tampa. It is very concerning to me the delay by the media to report this story when the lives of thousands of American citizens are at high risk! It is very concerning that Kia is issuing statements of “smoke and mirrors” when they have clearly known the root cause of the fires for over a year. · Started with Kia Motors America as a Warranty Auditor in a contracted position, April of 2016. · Quickly proved to be a competent investigator. · Discovered major engine fraud perpetrated against KMA, by their dealer partners that was previously unknown and led to a redirection in focused audit activities. · Personally adjudicated 3 of the largest dealer audits in KMA history. · For the fiscal year of 2017, recovered more dollars related to fraud than any other auditor within the department. · Through the dealer Appeal process in 2017, had the lowest ratio of chargeback decisions overturned than any other auditor within the department. · Sensitive projects requiring highest detail e.g. legal department involvement were routinely assigned to myself in evaluating proper chargeback disposition and word-smith of related publishings. · It was stated by the Assurance (audit) Manager (who is now the National Warranty Manager) that my high focus, detail, ability to find root cause, analyze statistical data to detect deficient controls, over-standards and fraud & prepare detailed reports of chargeback disposition was at a level all on its own within the KMA audit department, and that I was setting a new standard for the rest of the department to aspire to. · Although was the last of 3 contractors to be hired, I was the first to be offered a full-time permanent position with KMA due to high work performance as outlined by the now National Warranty Manager. · Completed more voluntary training with KMA during the time period of my employment than the entire rest of the Warranty Department combined. · Was selected as a trainer for the Warranty Department to develop and present classes provided to KMA Field Managers; subject dealer service dept financials. · As Dealer Claims Adjuster from Oct of 2017 until Oct 2018, adjudicated more warranty claims than anyone else in the warranty department as well as reviewed more warranty claims than anyone in North America. · As an Adjuster, complicated Warranty Claims and Appeals requiring technical knowledge and a sophisticated understanding of document review were often assigned to myself. · A suspicious process chain led to what in my estimation was a forced resignation. It is my opinion that this forced resignation is related to my knowledge of the root cause of the engine fires and my repeated attempts to garner internal attention to the issue. 1) processes were absent prior to vet each unique warranty claim for proper repair in relation to one-time use GDI parts. Therefore it is impossible to filter/analyze with 100% certainty which vehicles were, or were not repaired properly. 2) The risk to the customer is far too great, for the cost to be a factor in decision making. 3) The high-pressure fuel tube is unprotected, and at high risk for damage during the engine installation. 1) Every Kia vehicle since the introduction of GDI, that has had a warranty repair requiring disassembly of the onetime use GDI components as outlined in ENG084 must be recalled ASAP. All of the GDI parts listed in ENG084 i.e. fuel tube, bolts, washers, o-rings, seals – must be replaced, on each and every one of these vehicles. 2) All GDI equipped vehicles should have a protective cover installed over the high-pressure tube/pump. 4) This information should be communicated to Hyundai to adopt similar measures. If KIA moves forward with something that looks like what I have outlined above: I will forgive – including the things that have not yet been disclosed. Cc: FBI, U.S. Attorney Southern District NY, Center for Auto Safety, NHTSA, Kia Motors Korea, Senate Committee on Commerce and Transportation, White House, Federal Trade Commission, Hagens & Berman Law Group. This post originally was published on Jason’s LinkedIn. Posted in News and tagged Auto News, Auto News 2019, Auto Safety Group Demands Mass Kia And Hyundai Recall, HYUNDAI ENGINE FIRE Recall, Hyundai vehicles catching fire, Jason Vaughn Resume, KIA ENGINE FIRE Recall, More reports of Kia, Service Manager for Kia Motors of America, Whistleblower Explains Kia Fires-FTCS'rs, Who's Jason Vaughn?.